Wonderful Restoration Project | McQuillen Creative Group, Inc.
Our friends over at Ciavarella Design Architects just finished a dynamite historic restoration project. 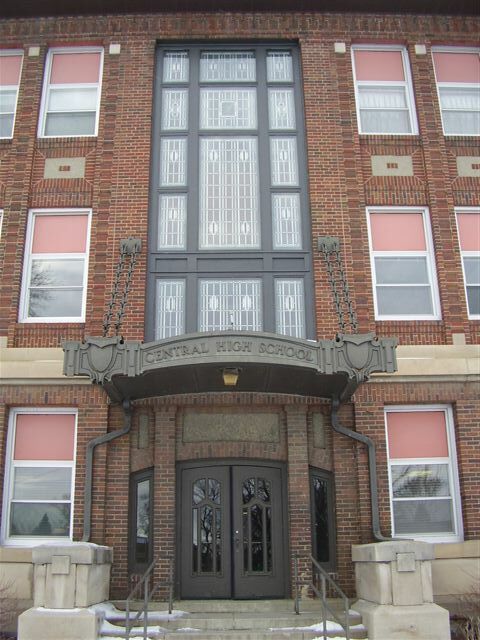 They managed the removal and restoration of the massive stained glass windows at Aberdeen, SD’s historic Central High School building. These window had been covered up for years on the inside probably for heating purposes. As a student, I never saw the sun shine through them. Aberdeen Parks and Recreation now use the building and surround complex for a variety of cultural activities and events. It’s one of the best adaptive reuse examples in Aberdeen. See more pics on Facebook. Ciavarella Design Architects have offices in Aberdeen and Mitchell. They are responsible for new commercial buildings and houses all over South Dakota. 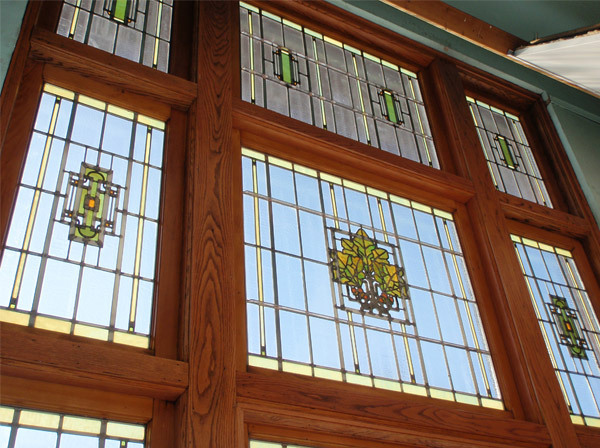 Restoration architecture is one of their specialties. As well as window replacement. This spring, Aberdonians will delight in a new streetscape project, also designed by Ciavarella. Most of the installation was completed in 2010 as the snow fell. We’re all looking forward to benches, plantings, sculptures and lighting. Watch for it!